Wilshire Lakes Condos - 2 individual condos side by side! 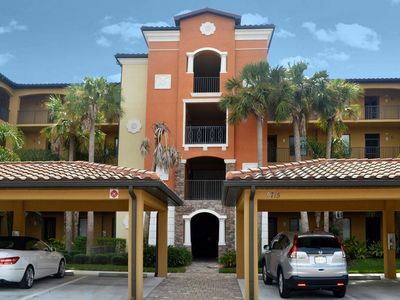 Located in the gated North Naples community of Wilshire Lakes, 2 condos to choose from and they are located next door to each; other PERFECT for family and friends traveling together. 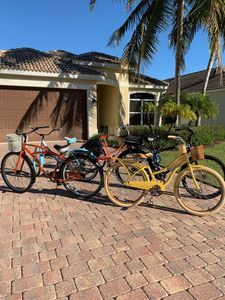 Wilshire Lakes' amenities include tennis courts, a pool, and an exercise room just steps from the front door and less than 5 miles from Vanderbilt Beach. 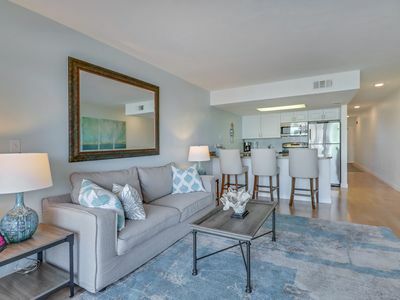 Unit #1404 is a second-floor unit boasting 2 bedrooms, plus a den and 2 baths with a screened/glass enclosed lanai with lake and preserve views; very quiet and serene setting. The condo features an open concept floor plan with a spacious kitchen complete with a sitting area. The dining room is adjacent to the kitchen with a beautiful wood table that has seating for 6. The living room is furnished with a couch, two chairs and a flat screen tv and opens to the screened/glass enclosed lanai. The lanai has sliding glass doors that can be opened or shut; depending on the weather and is furnished with an outdoor living room set. The perfect place to read your favorite novel. 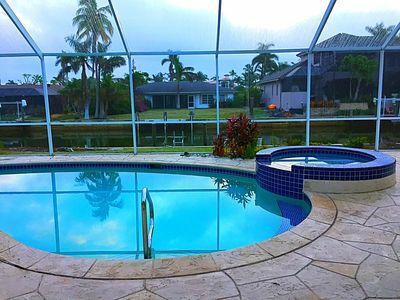 The master suite is furnished with a queen-sized bed, private bath with a walk in shower and doors to the lanai. The guest room also has a queen bed and there is a guest bath with a tub/shower combo. This spacious condo features a den that has been converted to a media room, complete with a comfy sofa & flat screen tv - the prime spot for watching a game or the latest movie. 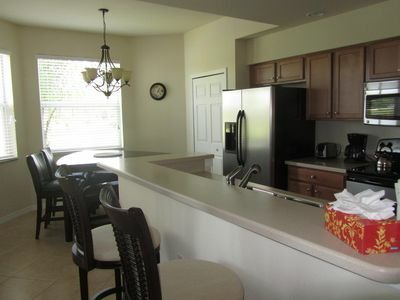 All linens, towels and kitchen equipment are included along with a washer and dryer in the condo. 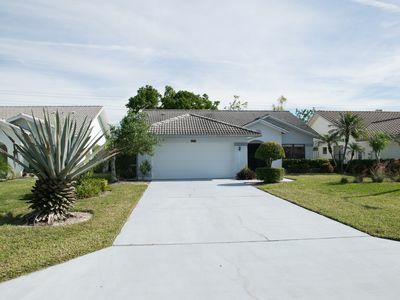 Unit #1306 is a second-floor unit with 3 full bedrooms and 2 baths with a screened enclosed lanai with lake and preserve views; very quiet and serene setting. The condo features an open concept floor plan with a spacious kitchen complete with a breakfast nook. 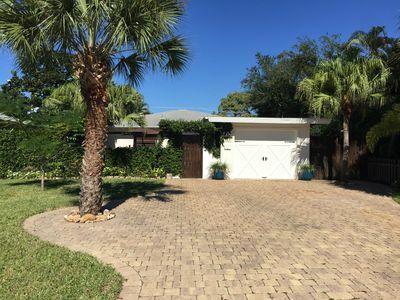 The dining room is adjacent to the kitchen with a beautiful round wood table that has seating for 4 and there is also a breakfast bar with 2 barstools. 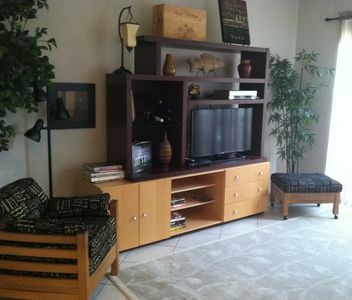 The living room is furnished with a couch, two chairs and a flat screen tv and opens to the screened in lanai. 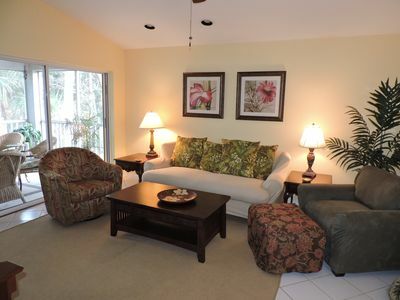 The lanai is furnished with an outdoor living room set and a dining table. The perfect place to read your favorite novel or a romantic dinner. 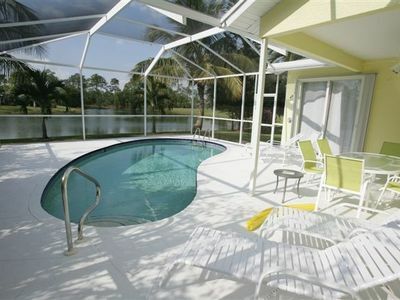 The master suite is furnished with a queen-sized bed, private bath with a walk-in shower and doors to the lanai. The guest room has a queen bed. The second guest room has 2 twin sized beds with a work station complete with WI-FI and printer. There is a guest bath with a tub/shower combo. Prime season availability due to last minute cancellation! 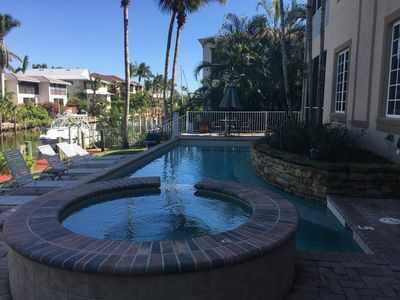 Walk or bike to beach & shopping & relax in private pool w/screened-in lanai! 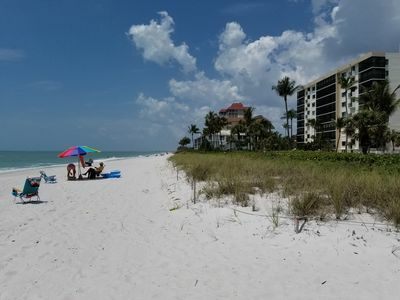 Continental Club-Luxuriously Renovated Beach Front 8th Flr. 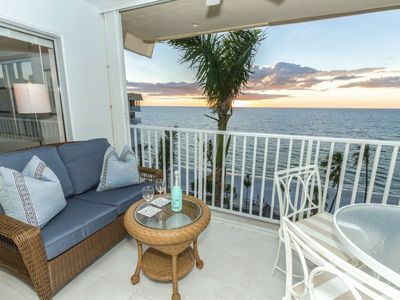 Condo w/amazing Gulf views! On the Gulf of Mexico beach! Sun, sand and surf right outside your door.